We had such a magical time in Egypt, it's an incredible destination and I believe it's a great time to visit. Prices are down, the sites are quieter and you may even have some places to yourself. 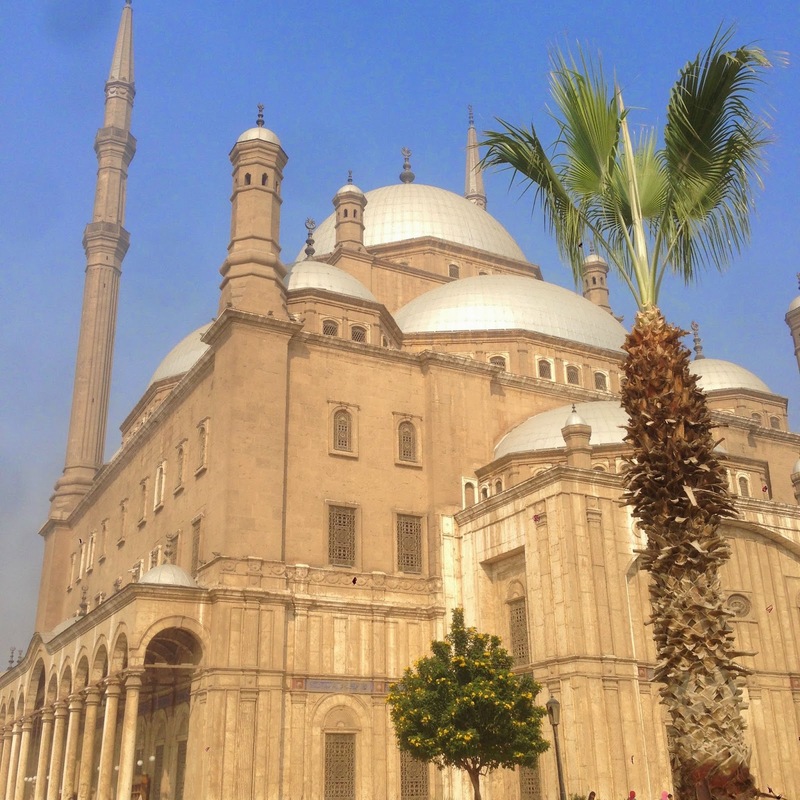 The compelling reason to go to Egypt is the history. Their incredible wealth of tombs, temples, and monuments is unparalleled. I've been to seventy countries and can't think of anywhere else that comes close. It's the age, diversity and the condition of the sites that is amazing. There are Pharaonic and Greco-Roman ruins throughout the country and you can see the greatest concentration of medieval Islamic sites in the world in Cairo. Note, I'm not even including the tourist attractions of the desert or the Red Sea! We live in a world where we are increasingly shown that you can get special access for the right amounts of money. It seem everything can be commodified and privacy is the one great privilege. The travel magazines are always touting that the right travel insider (read expensive travel agency) can arrange "special access" ( expensive private tour) to various world monuments. Thus, you can (for a price) have the Sistine Chapel for yourself and in Egypt you can visit Nefertari's tomb for something like $10,000 per group, yes that's US dollars! However, the privilege of privacy is currently available in Egypt and it's on sale too. We saw Abu Simbel, the Ramusseum and a variety of other tombs temples and museums on our own. Astonishingly, we were able to spend time in the Tutankhamen room at the Cairo museum with only the guard for company. For me this accessibility alone makes it the right time to go to Egypt. I promise you will you will get a great reception. With the exception of one ill tempered, desperate tout in Luxor, we found Egyptians friendly and very welcoming. Many people thanked us for coming to Egypt in the current climate and everyone asked us to tell our friends to come too. Egyptians understand the vulnerability of their tourism infrastructure and they are keen to reach out to foreigners to keep them coming. Below you can see us with one of Djed's drivers, the wonderful Mr. Alla. We opted for a fairly high end tour staying in very nice hotels with a private driver and guide at most sites. I booked through a local agency Djed Egypt Travel and we were very happy with the choice. The tour was customized and it was an extremely good value as hotel prices are down considerably. Booking with a good local agent is key, avoid the larger US based agencies, all you are doing is paying a middle man and much of the money doesn't even make it into the Egyptian economy. Think local! I loved young couple from outside town took this picture for me at Luxor temple, you can see the avenue of sphinx on the right. We felt safe, though I realize this is a very subjective thing. I’m not a nervous person and having read the British Foreign Office Advisory it seemed the only advice was to avoid the Sinai and to use some some basic/obvious smarts - if you encountered a demonstration move away from it! I think it's a good idea to pay attention to the FCO Advisories but I'm not ruled by them. Finding a trustworthy local agent or driver and taking their advice is always helpful too. They will do everything they can to ensure you are comfortable and secure. We don't travel in large groups and we generally avoid staying in large American identified hotels , for example I think it's prudent to avoid any Marriotts or Sheratons, and perhaps even the Four Seasons, in places like the Middle East and Central Asia. Lots of friends remarked on us going to Egypt but having read the reports on TripAdvisor I could see that people were going and having a great time. If you take reasonable precautions you can mitigate against some concerns. Nobody asked or worried about our subsequent trip to France though we were there during the Charlie Hebdo attacks. 6) Support the Egyptians When They Need It, and They Need it Now. We had the advantage of lower prices and fewer crowds but there's no advantage for the Egyptians. Everywhere we went it was clear that people had been laid off. At the Al Moudira the restaurant manager was working as the waiter, though he used to have seventeen people working for him. Guides and drivers are called in only when the companies have customers. Even the charities are struggling. Animal Care in Egypt (ACE) relies on donations from tourists, with tourism down it's hard for them to maintain their program of free veterinary care at their wonderful facility in Luxor. Every penny you spend in Egypt is going to hire drivers, guides and hotel workers who very much need the work, many of them may be supporting extended family members. Go and feel good about it, you will have a fantastic time! Great information! I just booked my flight to Ciaro for Jan. 2018. I stumbled onto your blog through Frommer's forum. I emailed the tour company you used. Did they plan the entire trip, and did you leave free time? Since I'm most likely going alone, I was looking to do more tours, hire drivers, etc. So glad you found the blog useful. We loved Egypt and I'm sure you'll have a great time it is a magnificent country and the history is captivating. We arranged the entire tour through Djed, everything from airport pick up to tours, hotels, the boat on the Nile etc. I built in time on our own because we wanted that and when we got there we cancelled the guide to Abu Simbel because at that stage we were getting a bit guided out! Overall it was one of the best trips we've taken in part because we tried to learn a bit about Egyptian history before we went. feel free to email me to comment here if I can help with any other questions. Happy travels!